This family wanted to design a custom built home suited to their tastes and needs. 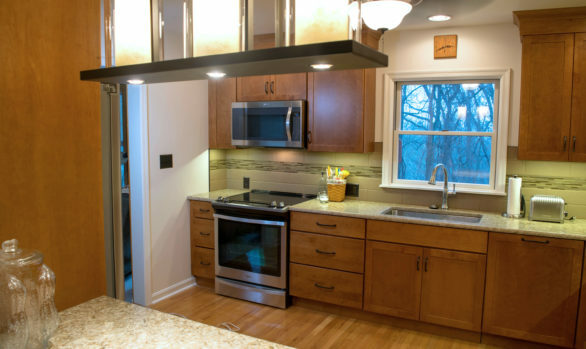 To help them achieve their dream design, they sought out the services of Harrisburg Kitchen and Bath Designer Andrea Woodall. This two-toned, traditional kitchen features lighter wall cabinets and a darker stained island. The perimeter is Divinity Classic with a mocha glaze, while the island is in ginger snap. Also, the refrigeration beautifully blends into the surrounding cabinetry. Since the home has a well-thought-out, open layout, entertaining is easier. The island’s spacious seating area invites family and guests to comfortably remain in the kitchen but stay out of the cook’s work triangle. In addition to the kitchen, Andrea also designed other spaces for the home: the laundry room and a kid-friendly bathroom. Looking for more ideas and personal assistance? 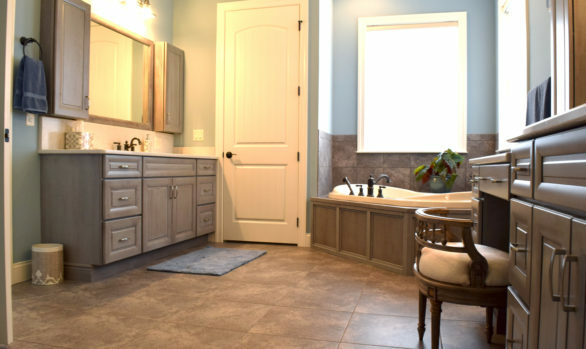 We have the region’s largest showroom of fine cabinetry and fixtures! Contact our in-house designer to create the kitchen of your dreams.